Carpenter Bus Sales boasts the largest inventory of shuttle buses in the industry. Small Buses For Sale, Medium Buses For Sale, Large Buses For Sale, Used Buses For Sale, and Wheelchair Buses For Sale, All Buses for Sale. 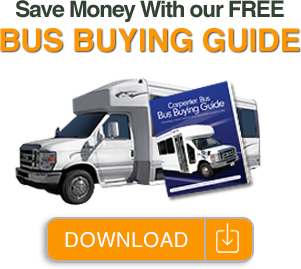 Our ability to purchase our buses at a higher volume allows us to offer the best pricing in the business. Whether you are in the market for a bus that does not require a CDL (Commercial Drivers License), or a big bus that can accommodate a large number of passengers, we have you covered. The warranty that is offered on all new buses is one of the things that sets Carpenter Bus Sales apart from every other bus company in the country. Your bus purchase is too important to not have it covered with a great warranty. Call us today to speak to one of our bus specialists and you will experience the Carpenter Bus difference. Quoted Prices do not include Tax, Title or License fees.